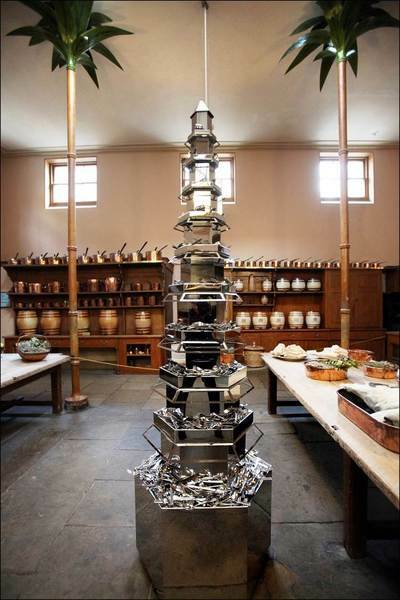 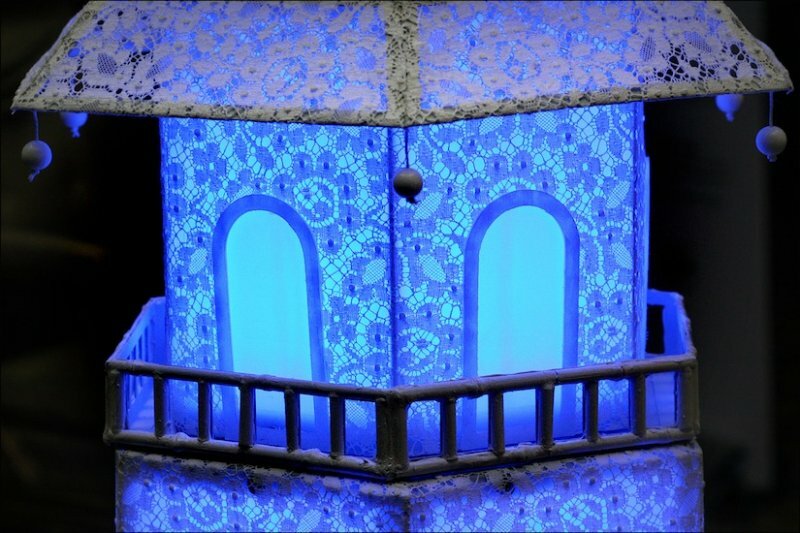 In 2012, Geraldine was commissioned to create four unique pagodas especially for Pavilion Contemporary, Brighton Royal Pavilion’s new annual contemporary art commission. 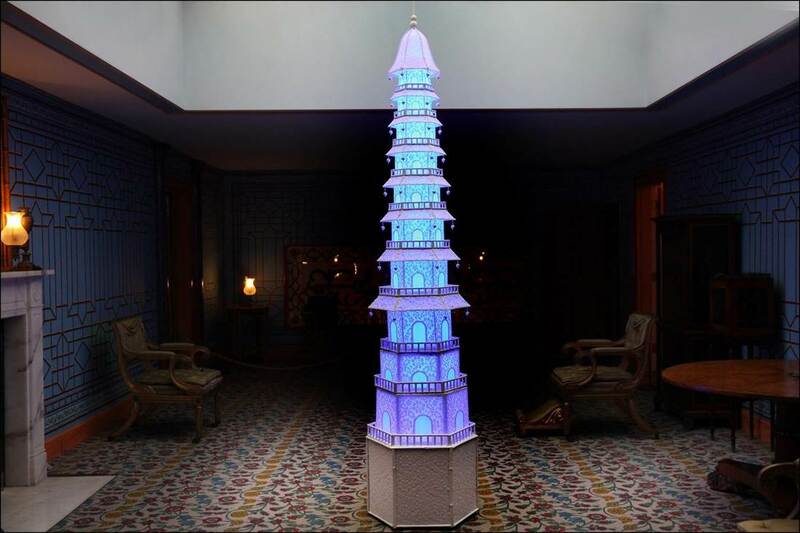 The pagodas then toured to Amiens, Northern France as part of Nuit Blanche in a co-production with the Musee de Picardie. 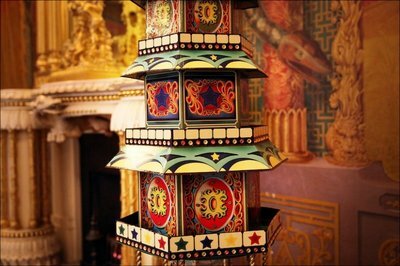 Among the Prince Regent’s extravagant commissions for his Royal Pavilion in the early 1800s were six three-metre high porcelain pagodas designed to impress his guests in the music room. 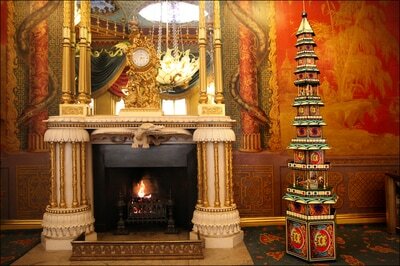 These six original pagodas now form part of the Royal Collection at Buckingham Palace. 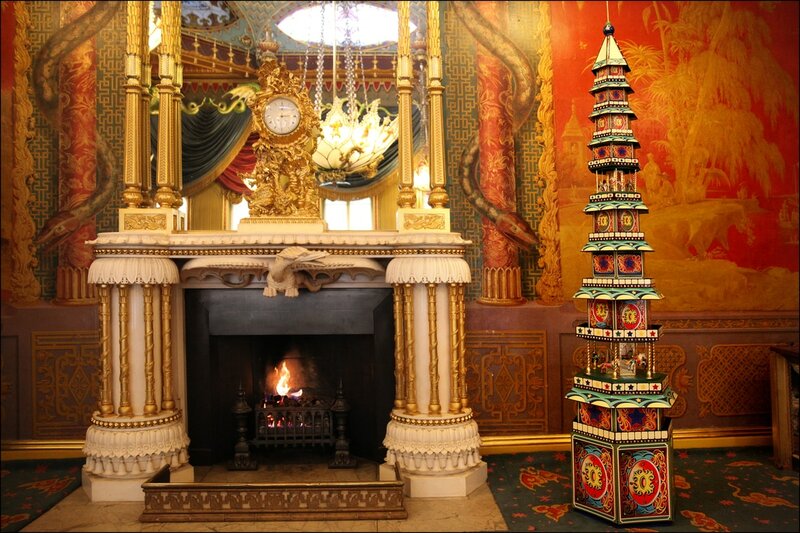 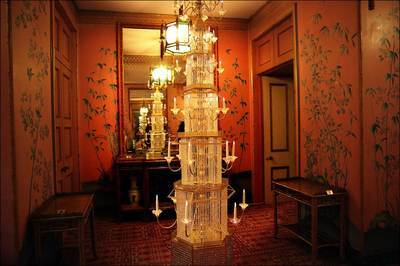 Two other pagodas – currently being restored – were purchased in the 1950s and stood either side of the mantelpiece in the Music Room to echo the originals. 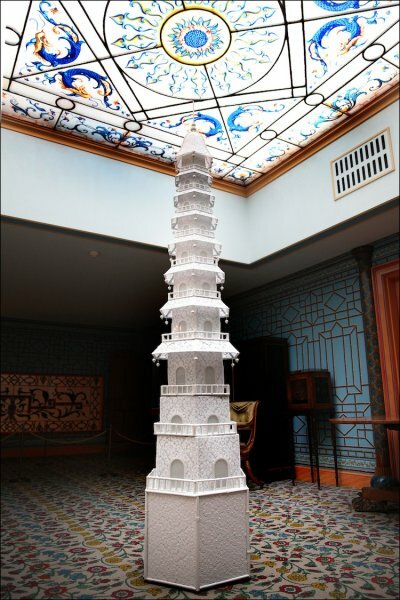 ​Geraldine found the idea of the lost pagodas of the Royal Pavilion totally inspiring and created an installation of four pagodas to temporarily replace them. 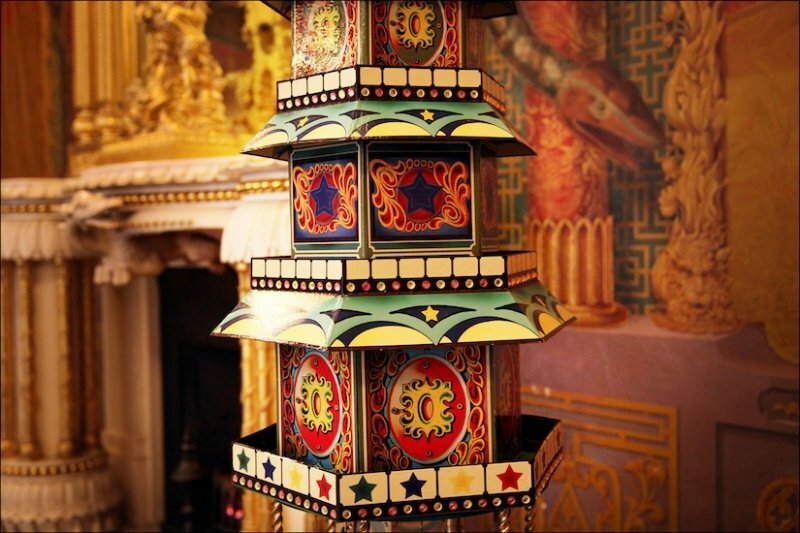 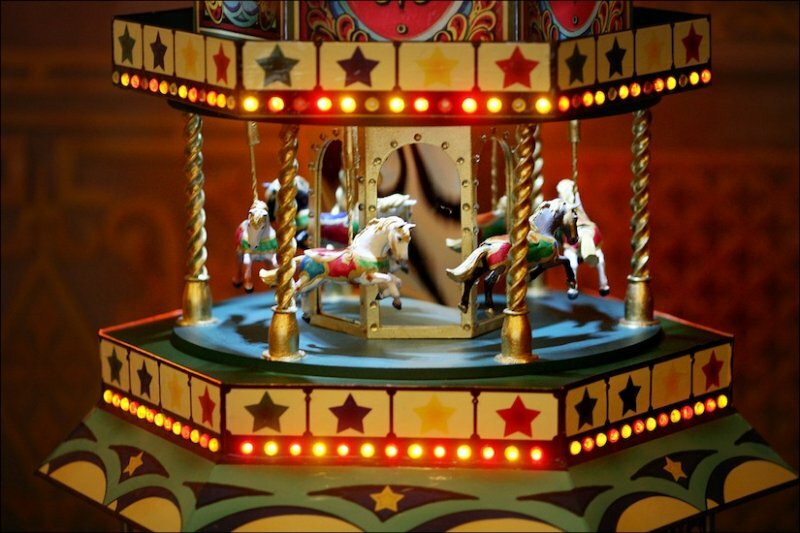 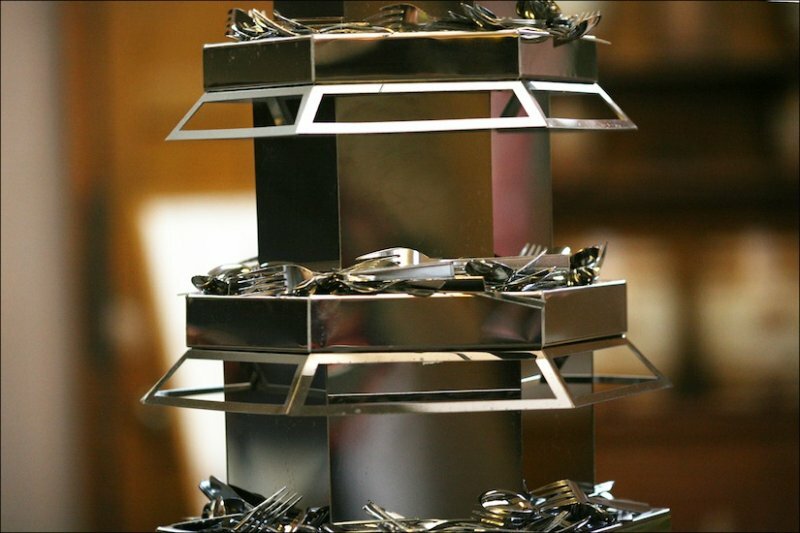 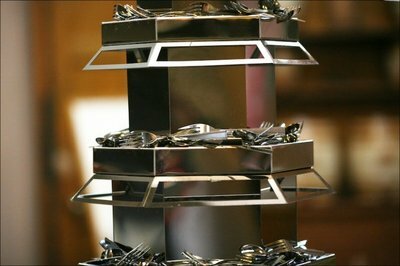 These self-contained structures, placed in different areas around the building, visually echoed the spirit of the Royal Pavilion; opulence with a hint of naughtiness whilst celebrating the Prince Regent’s passions of food, music and love. 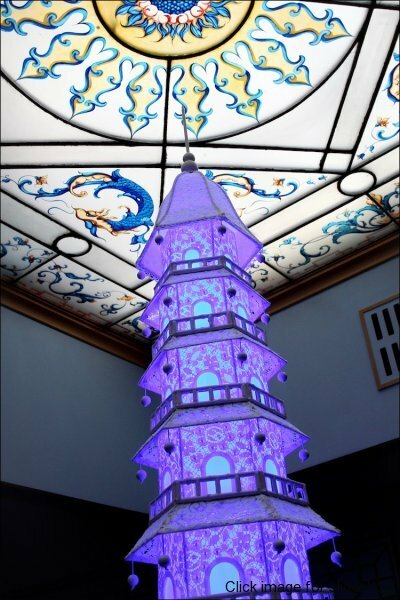 A short film exploring the creation of the pagodas can be viewed below.